The purpose of an outcome evaluation is fairly straightforward. Conducting a rigorous outcome evaluation is not easy. Understanding the need for it is: Your funders, colleagues, and staff want to know if your program produced the intended results. It can be less obvious what a process evaluation will tell you or why it will be useful, but in fact only by conducting a rigorous process study can you confidently answer outcome questions. The answers to these questions can help you determine whether there were ways in which actual program operations differed significantly from what was planned. 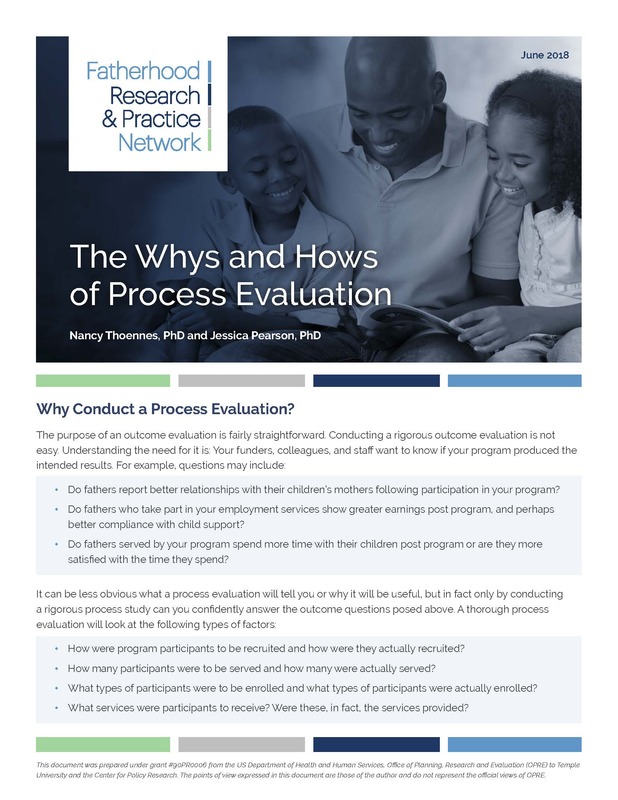 Since most programs will deviate to some extent from what is initially drawn up on paper, understanding the differences can help you to think about how changes in the program might have impacted the outcomes.